It took me years to start drinking coffee. I’m not a huge caffeine junky, as I don’t drink soda either, and it just never came up. Then I was introduced to the Burger King Mocha Joe in my college years. It was something like 1/2 coffee, 1/2 liquid vanilla shake mix and 3 pumps of chocolate syrup all over ice. It could hardly be called coffee but It was amazing and I had one every day for 2 years. Thus began my love of all things sweet and chocolatey, like Creamy 3 Ingredient Hot Cocoa, and every mocha latte I’ve ever come across. Even now when I go to breakfast places I am always looking for something sweet to indulge my psuedo coffee needs. It was here in Grand Rapids at a place called Wolfgang’s that I first tried their namesake coffee concoction. 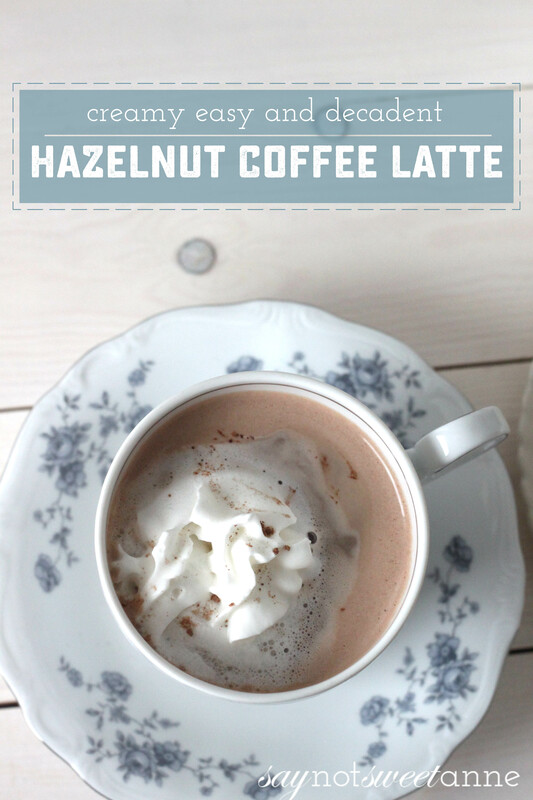 A hazelnut mocha latte made from half hazelnut coffee, and half home made hot chocolate. Needless to say the drink came in a cozy mug piled high with whipped cream. I was instantly in love. But I can’t always make it to Wolfgang’s for the Cafe Wolfgang. I mean, it’s a busy place, and I’m a busy gal. Sometimes Saturday mornings require a certain amount of not-leaving-the-house mentality. So I made my own. I cannot believe I didn’t try this sooner, because it is AMAZING. The recipe is easy and makes two cups of the Cafe Kayla (see what I did there?) which is just right for hubby and me. Give it a try and let me know what you think! Make hot cocoa according to directions, using milk instead of water. 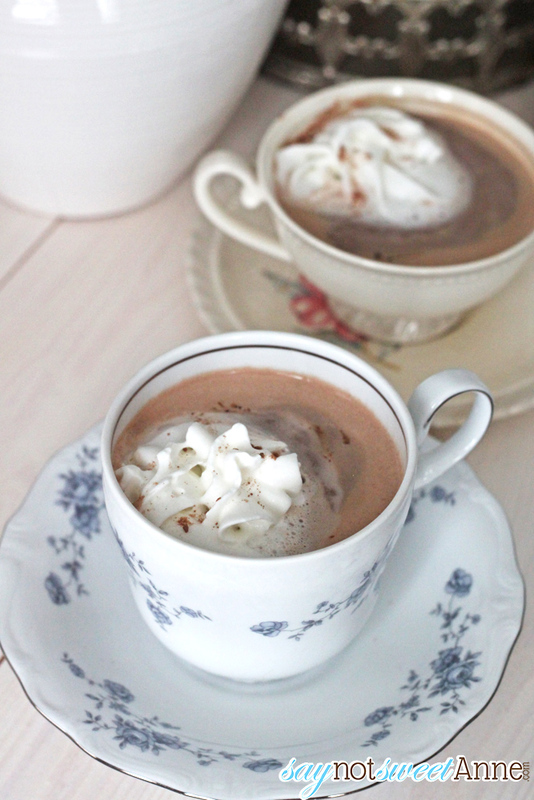 Combine coffee, hot cocoa and hazelnut syrup. 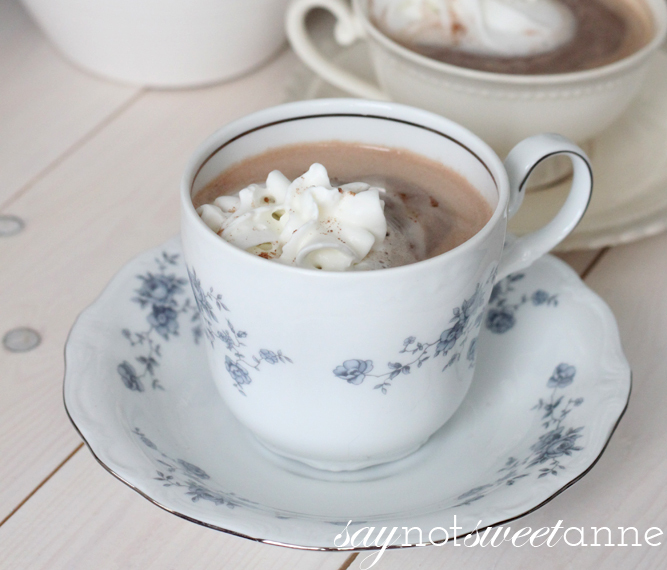 Pour into lovely mugs and enjoy with a squirt of whipped cream!